In our 14th year of operation, Passport Summer Camp is excited to offer exciting camp programming for campers in and around the Cambridge area as well as to a number of international families. During December, February and April school vacation weeks, we offer specialized camp programming for CMS families and the greater community. Please visit our Vacation Camp page for more detailed information! This camp must comply with regulations of the Massachusetts Department of Public Health and be licensed by the Cambridge Board of Health. View our Summer 2019 Camp Catalogue! Our Summer Passport program welcomes children from over 20 countries and brings together friends from all over the globe. Our inclusive and diverse community allows campers to learn from each other and to appreciate cultural similarities and differences in a fun, creative, and safe camp environment. We offer a variety of enrichment programs tailored to your child, from ages 21 months to 13 years, including science & nature, music & movement, arts & crafts, swimming, field trips and more! Finding the right summer program for your child can be overwhelming. We hope to make this process as seamless as possible. Your camper's passport to adventure has arrived! Registration for the PASSPORT Summer Camp will begin February 1, 2019. This program is specifically modeled after and run as a Montessori classroom. It is an ideal option for campers entering our CMS Toddler program in the fall, as it introduces and exposes campers to the Montessori philosophy, materials, and space while building relationships amongst students and staff. To provide campers with consistency and time to adjust with separation, campers must commit to a 4 or 8 week session, which will maximize their summer experience. A loving and nurturing environment is the primary consideration for our 3 year olds. This program is tailored to meet campers’ needs with staff who are experienced and responsive to young children. In this environment, we have specifically designed the curriculum to accommodate your campers’ individual skills and abilities that focus on consistency, safety and independence. As a “Navigator” your child will participate in a full day of activities in small groups overseen by experienced counselors. Campers rotate through a variety of specialist led activities, which challenges and enrich their day. The child-centered environment gives these campers the attention they need, allowing them to build close relationships and memories with encouragement and support. Children in this program participate in a busy week, full of Passport specialist-led activities tailored to their age and interest, including science & nature, sports & games, arts & crafts, swimming, and weekly field trips. All of their camp activities have opportunities for individual decision making, allowing them to meet challenges with confidence and enthusiasm. Early Care and Extended Day provide campers with fun and enriching care each day, offering a meaningful extension of their camp day in a safe and familiar environment. The program runs five days a week. Drop-in available if space permits. Each day at Passport Summer Camp is filled with a wide variety of fun and engaging activities for all of our campers. Each week (keeping on the same schedule) are different activities to keep campers active and want to come for multiple weeks! Below are sample schedules of a Passport Summer Camp day. Passport provides fun, safe and enriching Vacation Camps during December, January, February and April school vacations. CMS students and students from neighboring schools and community are welcome to participate. For ages 21 mos-13 years old. For Toddler and Primary age campers! Each day is filled with a variety of activities for both our Toddler and Primary campers. Activities vary depending on the program and may include: sports & games, stories, art projects, music & movement, cooking projects, outdoor play and camper choice activities. 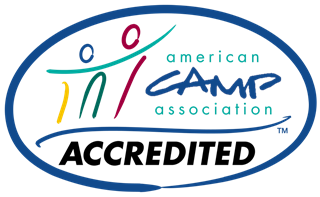 Camper Choice activities are based on campers interests and happen both indoor and outdoor depending on the weather. Campers are served various snacks daily. Each day join Passport Staff for fun off campus trips and activities specifically for Elementary age campers! Campers will be off campus for most of the day and returning between 3-4pm. Please have your camper at camp no later than 9:00am so we can get to our day started. Listed below are the trips we have planned in previous years. A detailed itinerary for each week will be available on our website 3 weeks prior to vacation camp.